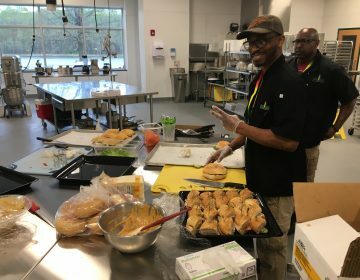 DCF introduced DelawareFocus.org on Monday. The site provides key statistics on several indicators in Delaware. The Delaware Community Foundation has launched the state’s first comprehensive, statewide community indicator project. During an announcement at the Grand Opera House in Wilmington Monday, the philanthropy organization introduced DelawareFocus.org, which will provide statistics on topics like health, education and the economy. The goal is to provide community leaders, policy makers and funders information that will help them understand what the greatest needs are in order to better serve the community. 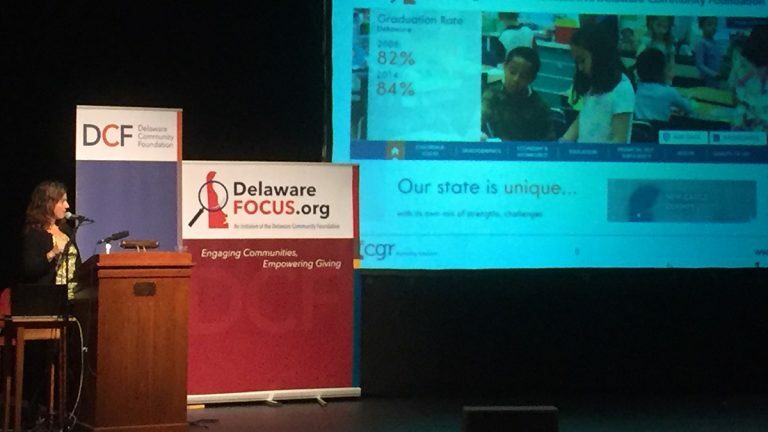 “DelawareFocus.org is a start to present data on 71 different indicators, measures and trends to see how we are doing in Delaware,” said Fred Sears, president and CEO of the DCF. The DCF says it was inspired by other community foundations, including those in Massachusetts and Arizona that lead indicator projects to facilitate dialogue and action to improve quality of life in its communities. The organization contracted the Center for Governmental Research to build and maintain the site. CGR is a non-profit based in Rochester, NY, that helps communities and organizations use data to evaluate and address needs. The project will cost $800,000 over the next three years, which will partly be paid for by the organization. The rest will be paid for with grants. The website features data and analyses of 71 key community indicators in the areas of demographics, economy and working, financial self-sufficiency, quality of life, health, children and youth and education. To correspond with the website, the DCF also has established the Delaware Community Focus Council to use the site to identify community challenges and opportunities and make recommendations. 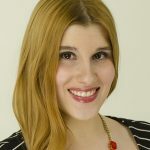 “Hopefully our community engagement committee will look at those results and select one or two we can play a role in and really make a difference,” Sears said. He said he hopes other organizations will use the site to learn about their community and engage in dialogue about how to address various issues. Organizations also can use the data to be more successful when asking for funding, Sears said. There are several organizations that collect data, including universities, hospitals and the government, he said. However, Sears said what makes the new site different is that it collects data on several topics into one resource. “Someone looking for something can go to DelawareFocus.org and pick out the subject they’re interested in and go to it without saying, ‘Would be that something UD is studying? Is that something Kids Count is focusing on?’ That’s why we think it’s important,” Sears said. Gov. Jack Markell, D-Delaware, spoke during Monday’s announcement and addressed importance of using data and listening to the individual stories behind the data. “This is important work. 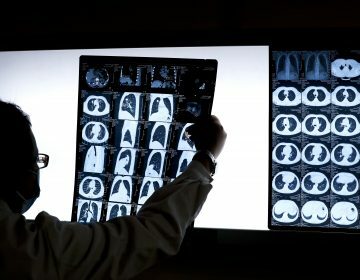 The benefits will last generations and it’s up to us to dig into the data, figure out what it means, and figure out how we use it and to remember we make these changes one person at a time,” he said. 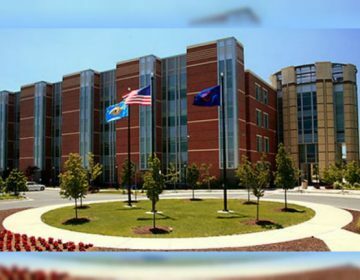 DCF also will collaborate with the University of Delaware, and work with United Way, the Rodel Foundation of Delaware, Delaware State University and Wilmington University. DCF members hope to expand the project throughout the years, and also will engage the community with their findings. “We think it’s going to be here for a long time to come, and play a significant role in the future of making Delaware a better place for everyone to live,” Sears said.